We offer coherent production from forging, heat treatment, shot blasting, machining, to assembly, to meet various demands of our customers. Die forgingWe manufacture pressed and hammered die forged products up to 20kg. In addition, we employ techniques ranging from heat treatments such as hardening, normalizing and annealing, to shot blasting and to machining. 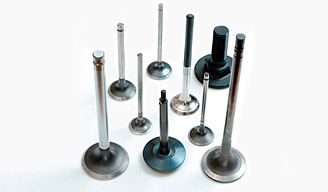 Engine valveAlong with leading engine valve makers in Japan, we manufacture products at our facilities with our own original equipment, utilizing the upset forging method. Machining / assemblyThe strength of our company lies in machining forged parts, especially those of hard to manufacture materials such as stainless steel, heat-resistant steel, super alloys and heat-resistant cast steel. 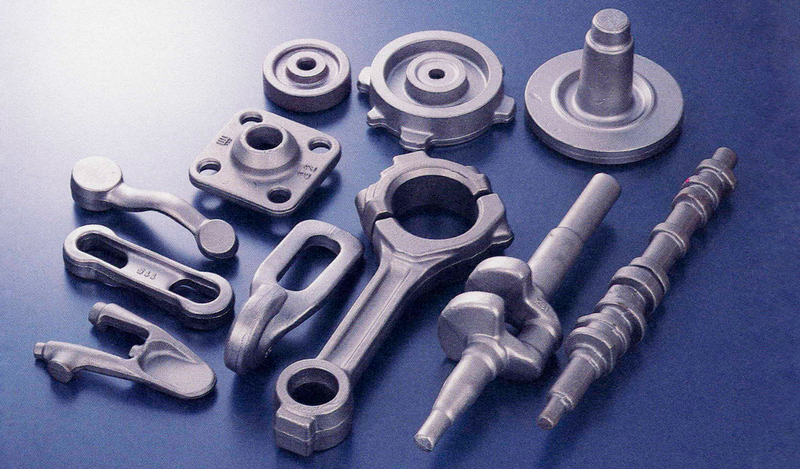 In addition, we conduct press-fitting, riveting, welding and assembly. 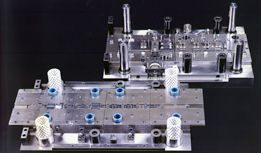 It is possible to integrate all stages of production, from machining to assembly. High-Precision DiesOur company manufactures and designs high precision parts made of tungsten carbide and high strength steel. We can deliver a working tolerance of 1 micrometer. 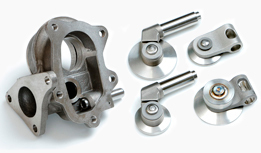 With engine valves and turbocharger components for automobiles at the core of our products, we offer coherent manufacturing from forging hard to manufacture materials such as heat-resistant and abrasion proof materials. It is possible to integrate all stages of production from forging, heat-treatment, machining and to assembly. Currently, we are ranked No.1 for the production of waste gate valves in Japan and provide our products to leading turbocharger makers. We offer coherent manufacturing from die hot forging to machining and small lot order production. We design and manufacture high precision dies. 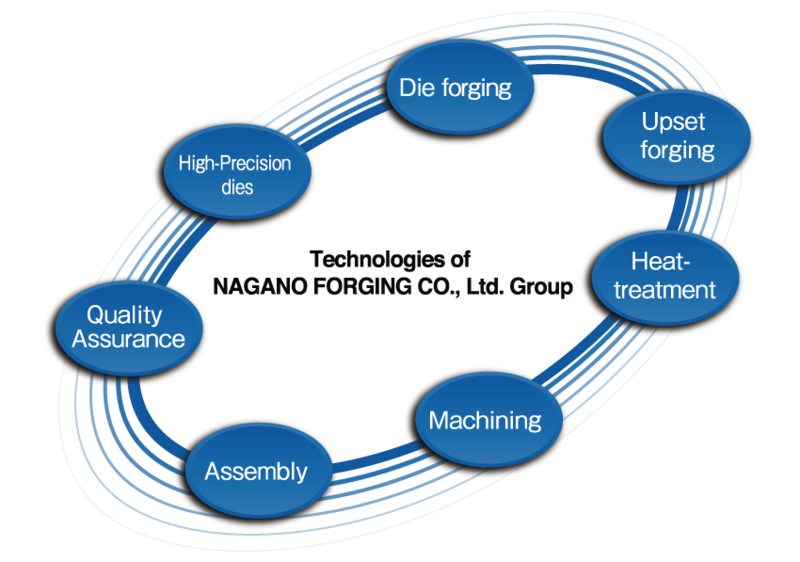 Copyright © NAGANO FORGING CO., LTD. All Rights Reserved.